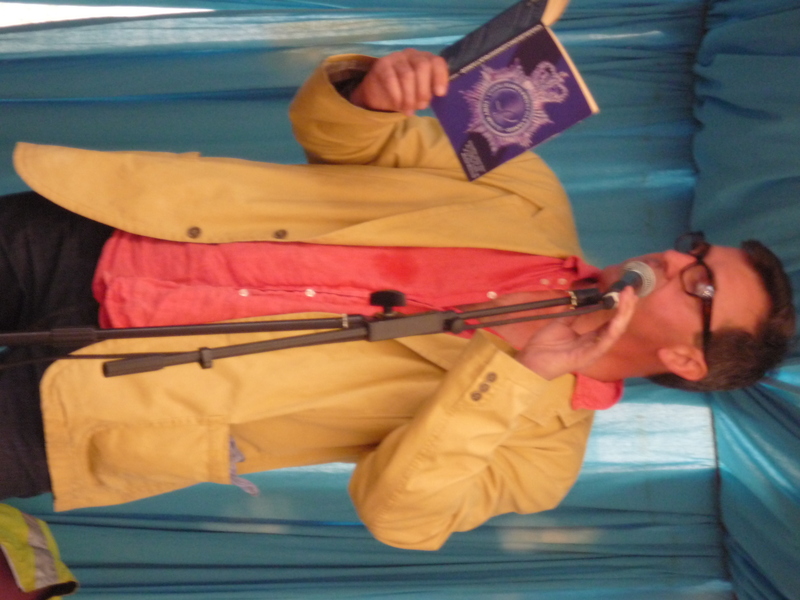 On Friday I read from the satirical stream of filth consciousness sentience that is my novel CHARLIEUNCLENORFOLKTANGO. 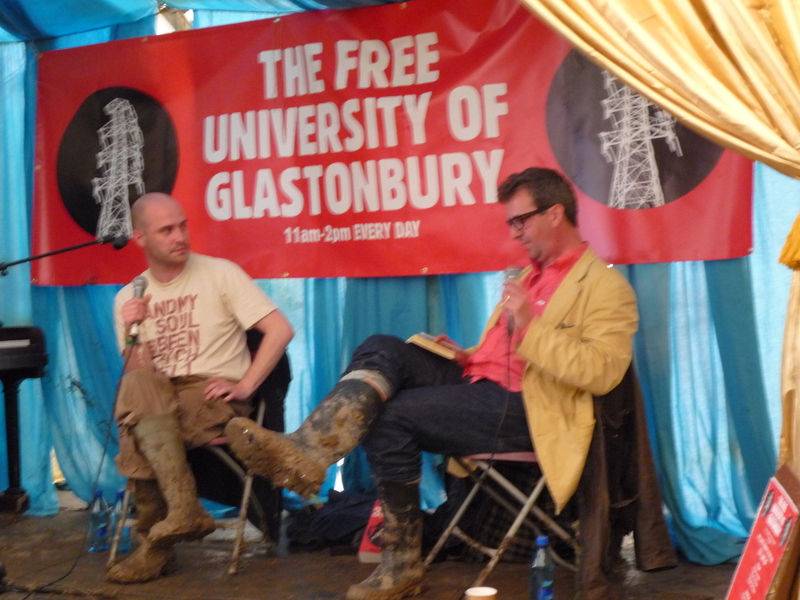 Compering on Saturday I had a very interesting conversation with Dorian Lynskey about 33 Revolutions per Minute, his fascinating history of protest songs. 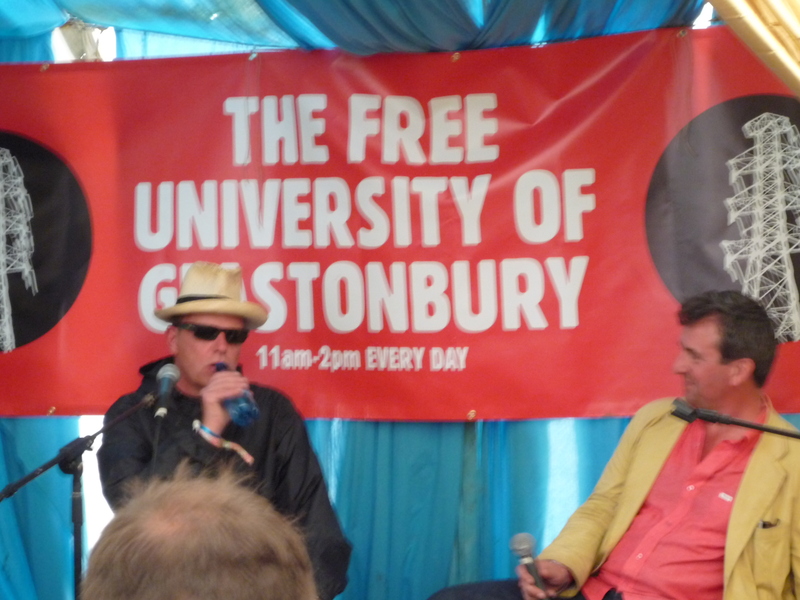 Also on the Saturday programme were Bad Science author Ben Goldacre, comedy writer Emma Kennedy, as well as comedian Marcus Brigstocke who spoke about his new book, but the highlight was interviewing the one and only Suggs for a heaving tentful of Madness fans. 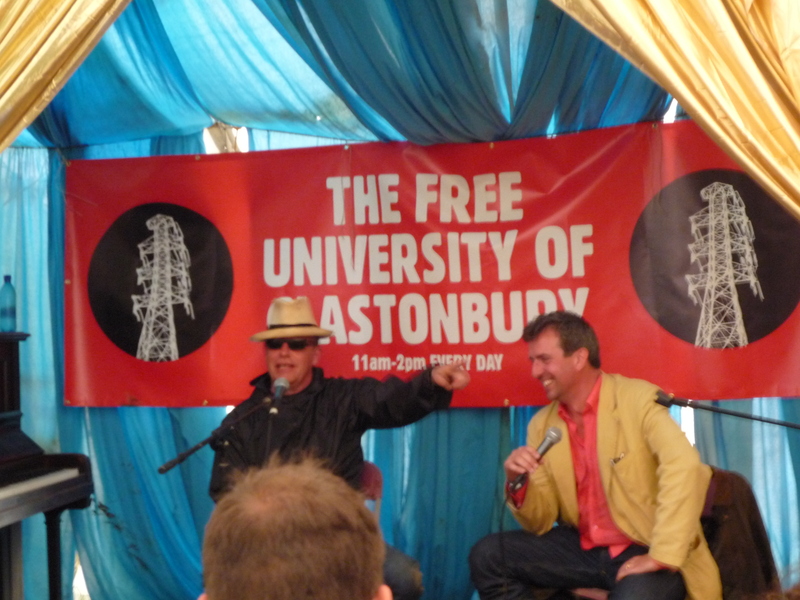 Suggs is a lovely bloke and a great raconteur, so his forthcoming one-man show should be a blast. Keep your ears open for news of this in the autumn. Like me he is also a big fan of Resonance 104.4 fm and gave it a plug or two during our chat. 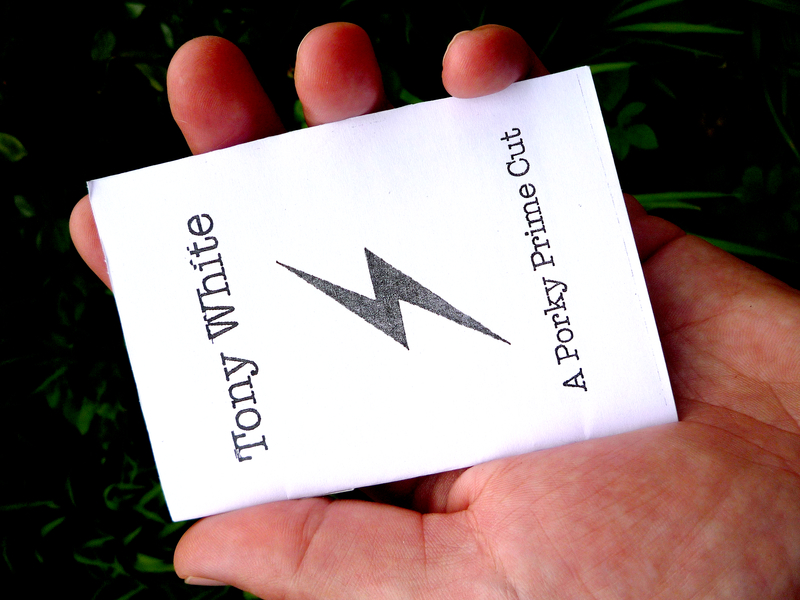 …to underline the Free University of Glastonbury’s belief in both freedom of speech AND free beer, we also gave away copies of a strictly limited print edition of ‘A Porky Prime Cut’. I’ve got a few spares of this to give away, so message me if you would like to lay your hands on one.